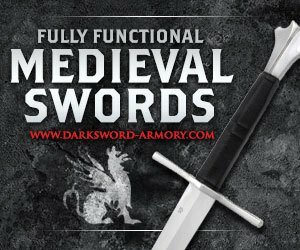 Did You Know This About Toledo Swords? 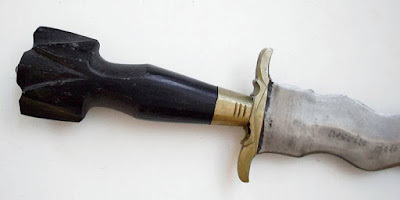 Learning about the history of exciting stuff like Toledo Swords is always fun. Toledo was also known as the city of steel in the old Roman times. The prominence of Toledo swords rose under the rule of Morris and Reconquista. Guild of sword makers in this era played a significant role. The Toledo sword-making industry became on the of the best in the world around 15th to the 17th century. The great boom of this industry led to substantial cash flows and some masterpiece swords being made. Their products were incomparable in entire Europe. Every dagger and sword was made by individual craftsmen who had a lot of relevant skill. Imagine today what you see in a famous action scene from Game of Thrones was available in old times. People used such magnificent swords as a weapon all the time. Later in the post 17th-century era the market, however, started to decline. The condition of Toledo swords was not good if seen from a market perspective. This led to the set up of the Royal Arms Factory in the year 1761. King Carlos the second supported the making of the factory. The factory was located in the former mint. They bought all the sword makers guilds in the city. In the year 1777, the factory people thought that expansion regarding space was essential for them. Architect Sabatini was commissioned by the King to design and construct the new building. The building was supposed to come up on the outskirts of the city to facilitate the expansion needs of Royal Arms Factory. This was one of the first expansion in the line of extensions that happened over the years in the company. The factory became so big that it became another city inside the city of Toledo. The years passed by and came the 20th century. The use of weapons like swords and knives was reduced to cavalry people only. As the Spanish civil war ended, this became more of popular practice. In the 1980s the company had to shut down due to the changing market dynamics. The products it was making was not relevant in the current scenario at all. The factory closed down in the 1980s. Later the building became the building of the Technological University of Castilla. It is an outstanding university in Toledo. It immortalizes the history of Toledo sword making of old Roman days. Artisans struggle to keep the old tradition alive by all possible means. Families of many old craftsmen are still active. If you talk to them, you will realize how beautiful a heritage it was. 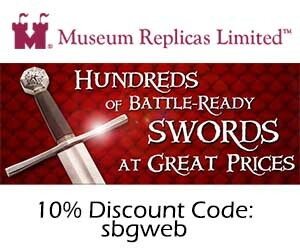 Today swords are not in use, but they served a great purpose earlier and can be kept at your home as an antique piece. 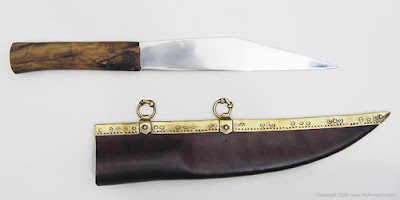 Mariano Zamorano is one of those last craftsmen left who makes Toledo swords. Their craftsmanship is still alive. Mariano still practices the methodologies that his father taught him. He holds a dagger blade in his one hand, and guide sit through different stones to make it sharper and better looking. Each time he switches the stone it is a more elegant version of the sword. Mariano said every sword that he has made till date has been different. No two swords of the craftsmen were similar. Whether it is a small one or a big one some variation is always there in a sword or a dagger. It depends on the client’s demand or on the way the designer wants to make it. There was a time when for centuries Toledo swords remained excessively famous. The reason is their durability as well as strength. Toledo swords had an iron core of layered metal covers to improve their overall robustness to a reasonably significant extent. Due to this reason he swords were extremely flexible and yet remained unbroken for long. It was not so easy to break a Toledo sword. In the times when swords was a significant weapon in wars, a man who carried Toledo sword was considered to be the best. It directly related to a warrior’s superiority at his work. There are museums around that shows Toledo sword and stuff. You can have a look at the past’s most magnificent art pieces that are no more used and are just part of a museum.